Aquamasters, Inc. carries a complete line of pool and spa pump parts. We carry pump strainer baskets, pump lid assemblies, hand knobs, wet ends, gaskets, O-Rings, Housings, impellers, diffusers, shaft seals, seal plates, impeller keys, and replacement motors from the leading manufactures such as Hayward, Pentair, PacFab, Rainbow, Sta-Rite, Marlow, AquaFlo, and more pumps. 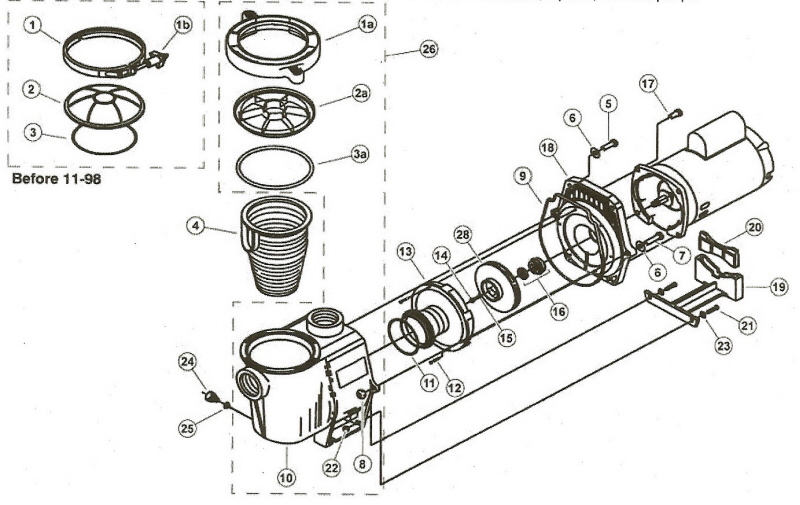 This kit is REQUIRED if replacing the seal plate, volute, lid, or lid clamp for any pump manufactured after June 1994. The seal plate and volute were first updated in June 1994 and the volute was updated to the Cam & Ramp design in November 1998. The replacement kit contains new key numbers 1-4, 9, 10, 18, 24, & 25. Some Pentair products may have previously been branded as American, Kreepy Krauly, Letro, PacFab, Purex, Rainbow. 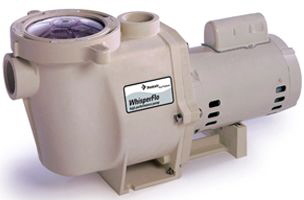 For pumps Before 11/98, when replacing this item, use #10, 357149 to update pump. For pumps pre 11/98, when replacing this item, use #10, 357149 to update pump.